ADANE and WRCF hosted the Fuel Up to Play 60 End of Year Celebration at Redskins Park. 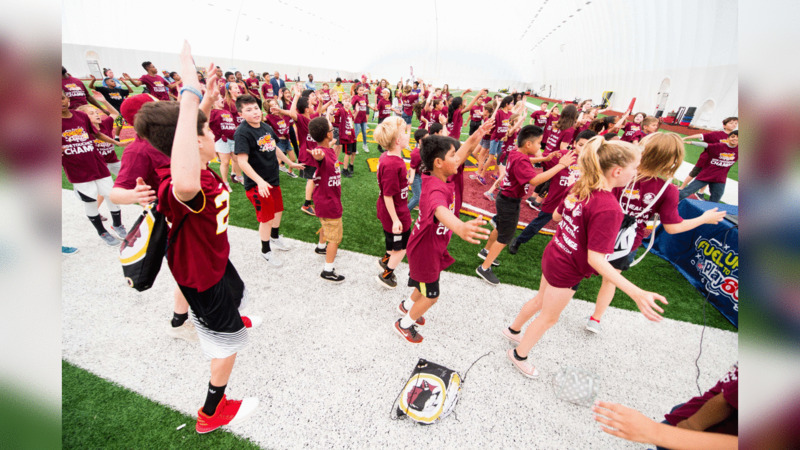 Approximately 85 elementary and middle school students participated in a morning of nutrition education and physical activity through a Play 60 Obstacle Course Tournament. Take a look at photos from the fifth day of Phase 1 of offseason workouts for the 2019 Washington Redskins. Take a look at photos from the third day of Phase 1 of offseason workouts for the 2019 Washington Redskins. Take a look at photos from the second day of offseason workouts for the 2019 Washington Redskins. Take a look at photos from the first day of offseason workouts for the 2019 Washington Redskins.